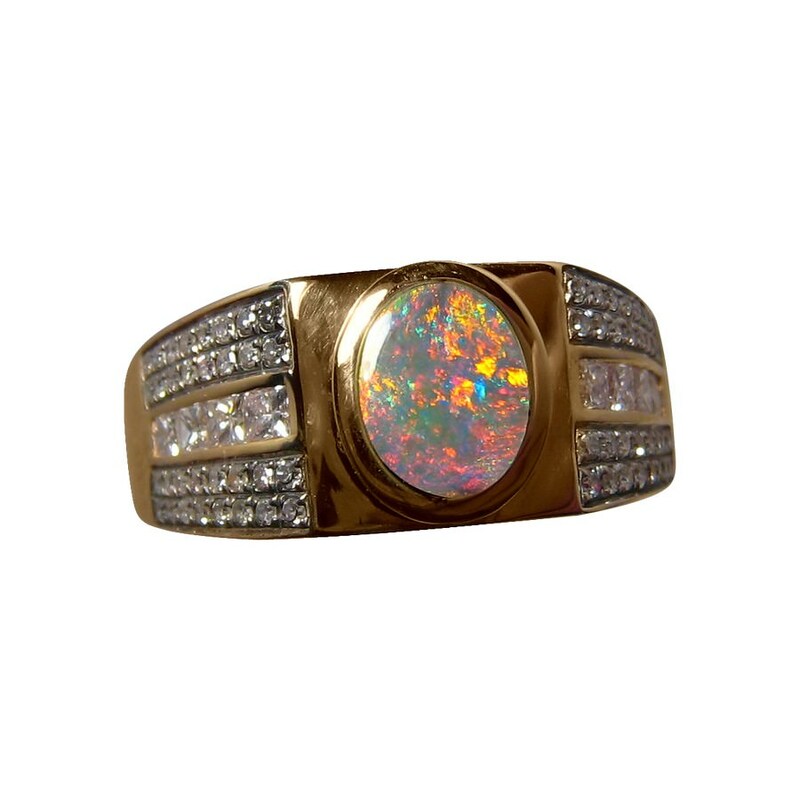 A mens Opal ring with an oval Black Opal in a 14k Gold ring accented with round and Princess Diamonds. In stock and ready to ship. 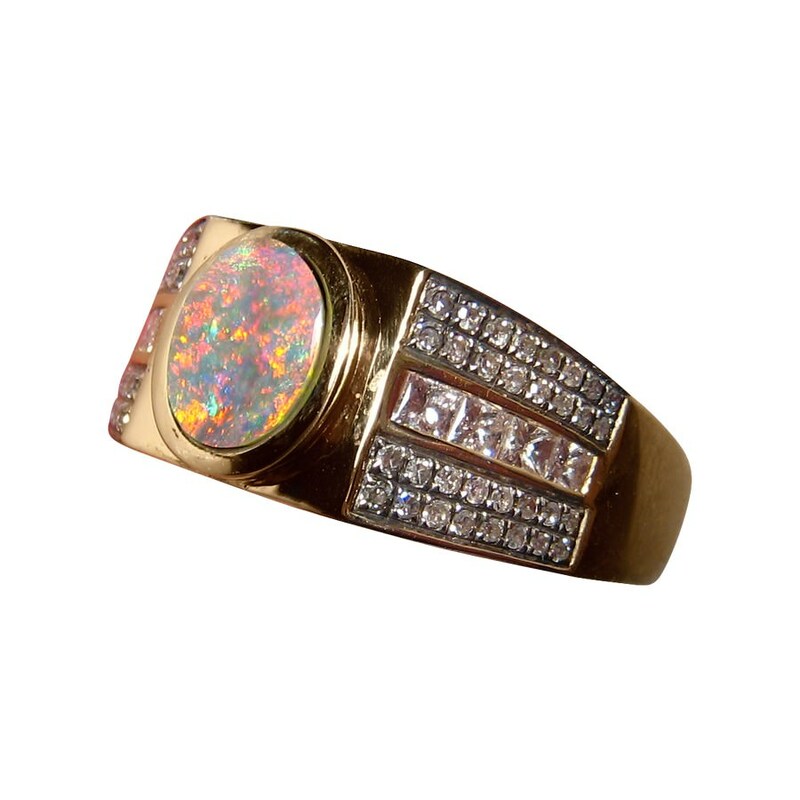 A 14k Gold ring for men featuring an oval Lightning Ridge Black Opal that is accented with round and princess Diamonds an set in 14k Gold. Shown in Yellow Gold, the ring weighs just over 10 grams with 68 Diamonds in total that are on the shank only with princess cut Diamonds in the middle of round brilliant cut Diamonds. All Diamonds are of good quality and although the photos do not show the high shine of Gold, the ring will be finished with a high polish once the Opal is set. Any minor blemishes are not visible to the naked eye and dark areas are just reflections. This style of ring is sure to be noticed and admired when worn with the bright colors in the Black Opal and the bling of all the Diamonds. 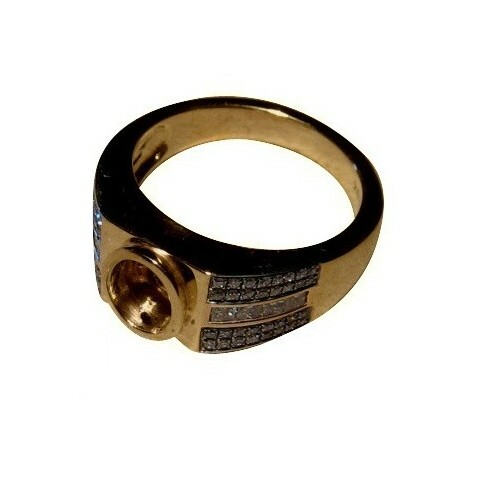 It is ready to ship as details below or will take about 14 days to make in any other ring size or Gold color. As the Opal is not yet secured in the setting, any aspect of the ring can be changed such as higher quality diamonds or even different gemstones such as rubies, sapphires or emeralds. Contact through the link above if you would like to make any changes to the ring design and receive a no obligation quote. Absolute dream to work with. The ring is perfect!